Welcome back to ‘The Hunt’. This week our team at RhymeSource came through with 3 new artist that have to be heard. From different backgrounds and genres, we tried our best to mix it up as much as we can. Make sure to check each artist out and show their music some love! Lil Tjay has been putting out hits and racking up the numbers. The Bronx native is taking over his city slowly but surely. With nearly 10 million plays on SoundCloud his big moment is almost here. Heavily focused on his teenage emotions, Lil Tjay makes very relatable music for his listeners. He raps about love, heartbreak, and complicated relationships. His latest single “None of Your Love” features lyrics samples from Justin Bieber’s “Baby”. Currently with 700,000 plays, this might be the song that blows him up. If his name sounds familiar, you most likely heard his hit song “Off-White”. Since racking up some air time and doing solid numbers, he was able to connect with Rich The Kid and MadeinTYO to make the remix. Since making a name for himself he recently worked with G-Eazy for “Wasabi” and then linked up with Lil Skies for “Moving On”. Aside from those big assists, Global Dan has quality music as a solo artist. He reminds me of Lil Uzi early on with a rockstar rap style. The best part is that he shows different types of flows on different songs so his music doesn’t always sound the same. With todays hip-hop culture he seamlessly fits right in. Coming off his new album ‘Solar’ Nobigdyl has proved he has what it takes to make consistent music. About 2 years ago he received a lot of attention for his mixtape ‘No Dillons’ but only released a handful of songs in between each tape. Racking in a couple hundred-thousand plays from his older music he seemed to be heading in the right direction. With only a couple thousands plays on his new tape, the numbers seem to be off. Aside from the numbers being a lot lower, there is no reason to skip over his music. 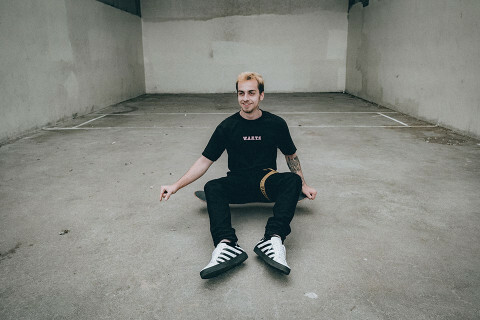 With upbeat instrumentals and excellent flow, he creates some pretty good vibes. Dyl is a also a very skilled rapper and shows it on every track. Between flows and lyrics he has the tools to blow up. Will ‘Astroworld’ Be The Album of the Year?